Take a gander at these GINGERBREAD MEN! Here's a special code if you are interested especially created for my reader. Good for 4 days so enjoy! Disclaimer: We received no payment or compensation and were provided with the product(s) for a courtesy featured post. Please read the disclosure here. 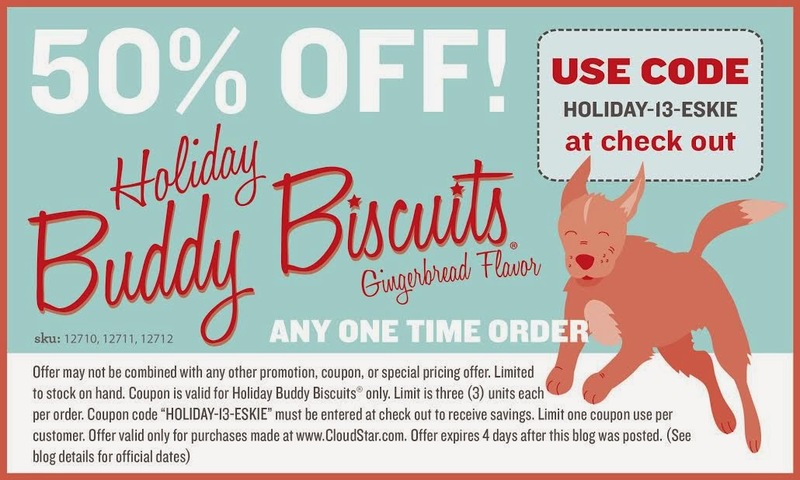 Shiner loves her delicious gingerbread cookies from Cloud Star! 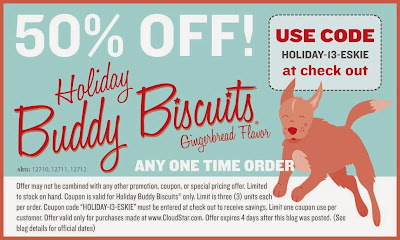 Buddy's Biscuits are yummy! Love the packaging and the gingerbread men are too cute! Mmmmmmm! Those look soooo yummy Ruckus! I just want to take a big bite out of them! Mikko would absolutely LOVE that, I bet!